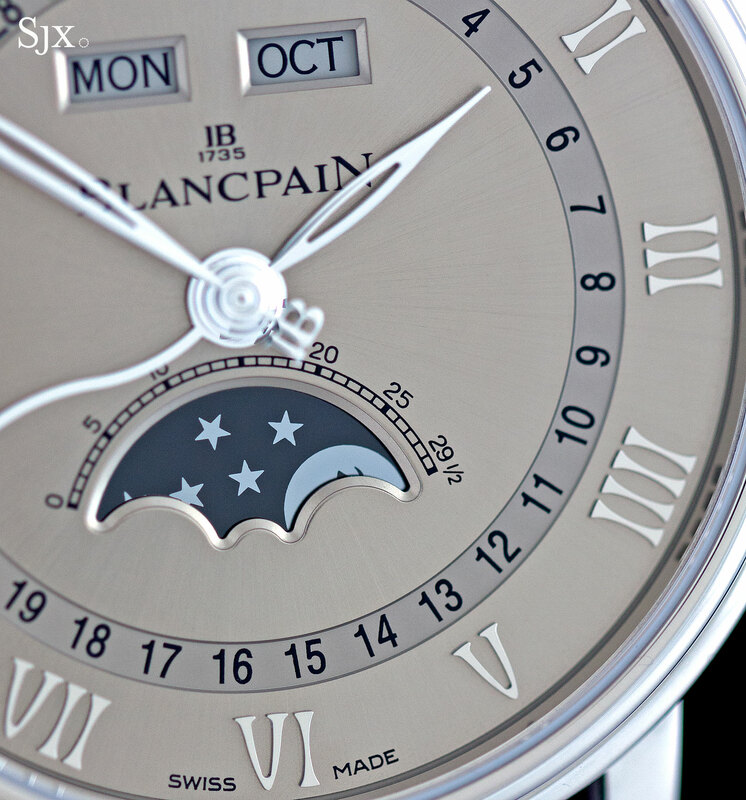 The triple calendar is a basic complication but one that’s practically synonymous with Blancpain, having been introduced in the 1980s as one of the “six masterpieces” of watchmaking, part of Jean-Claude Biver‘s plan to revive the marque. 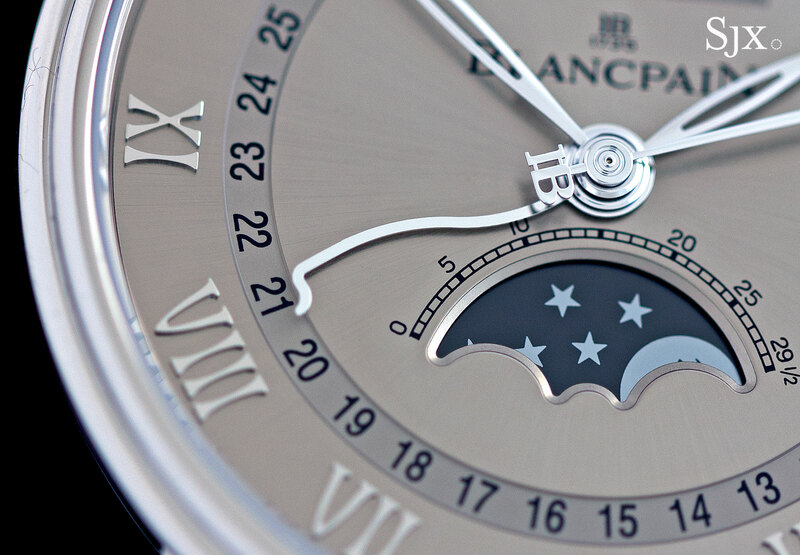 While the complication is commonplace – also offered by brands ranging from Jaeger-LeCoultre to Vacheron Constantin – Blancpain’s iteration is the most technically sophisticated. The Villeret Quantième Complet, which translates as “complete calendar”, is the base model triple calendar (shown here in white gold but also available in steel) but refined and well equipped. The case is 40mm in diameter and just 10.74mm high, giving it a compact feel in the hand. In fact, it’s thin enough that a savvy marketer might label it “ultra-thin”. Several dial options are available, but the grey dial pictured here is the most unusual. 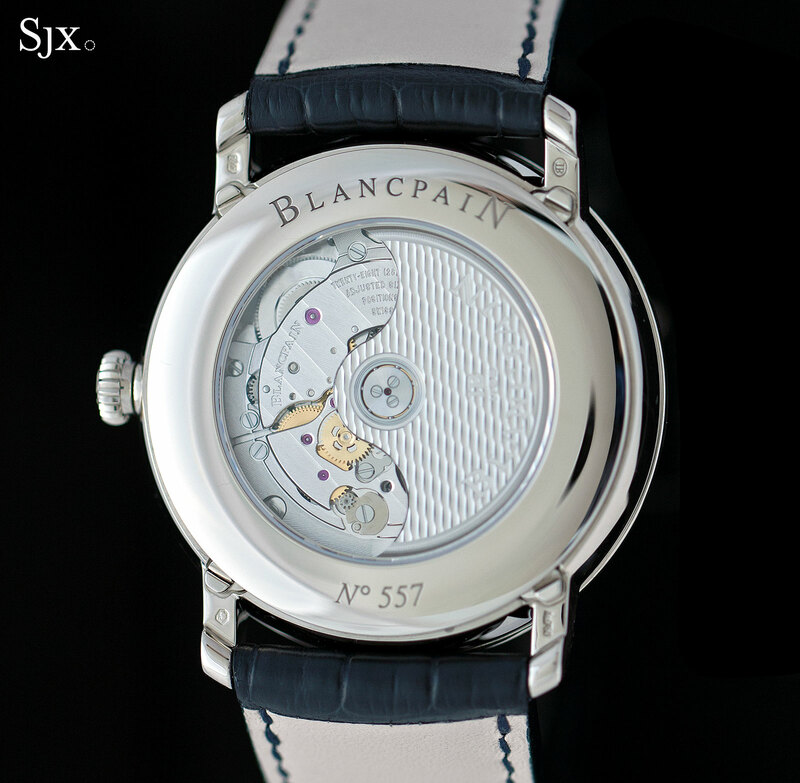 Finished with a sun ray brushing and containing a hint of copper in the grey, the dial is typical Blancpain style. In other words it looks like a contemporary watch wearing a classically-inspired costume. 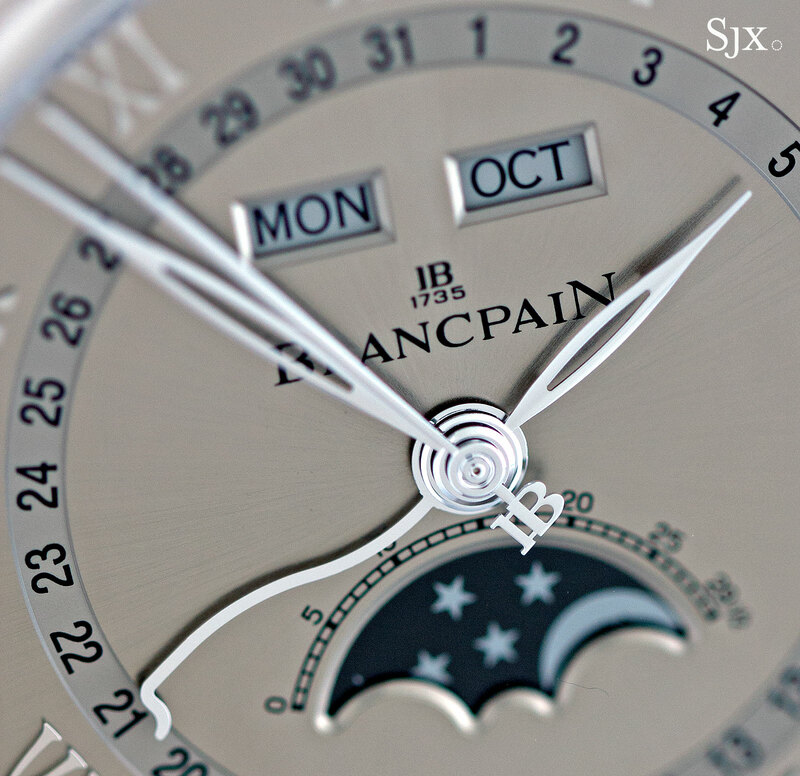 The serpentine date hand is an elegant touch, but the Blancpain logo on the end of the seconds hand isn’t. 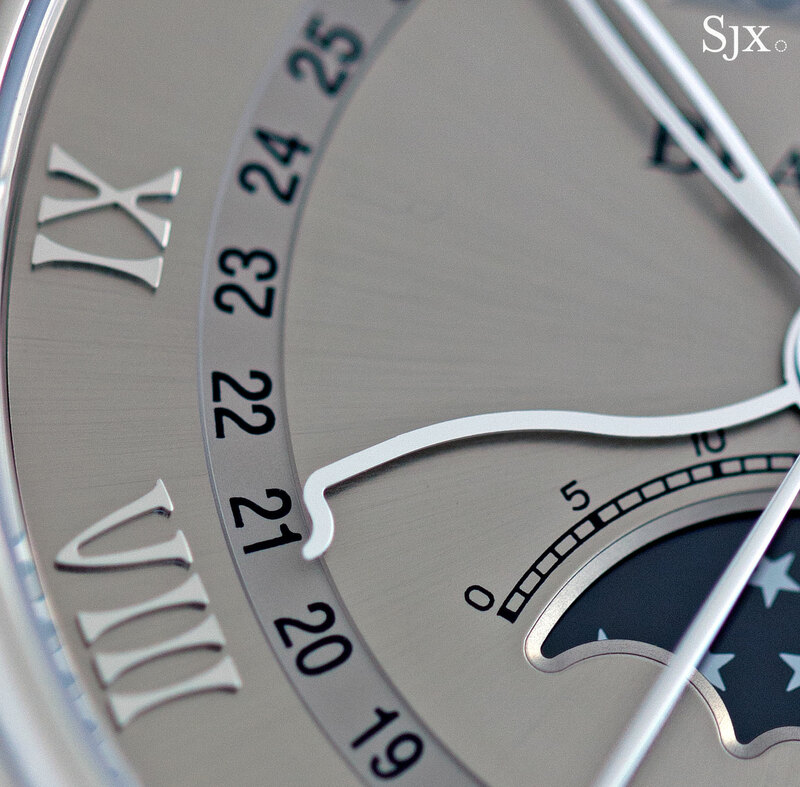 All the Roman numerals are applied, while the track for the date is recessed, as are the windows for the moon phase, day and month, giving the dial some depth. Overall the look is an attractive one on the wrist, with interesting detail, despite being a conservatively designed watch. Inside is the calibre 6654. It’s a small self-winding movement with a 72-hour power reserve that’s actually a descendent of the Frederic Piguet calibres 1150 and 1151. Those are now almost 30 years old, but the Blancpain 6654 is several generations away, having been heavily upgraded, as have all Piguet movements, particularly after Piguet was subsumed into Blancpain in 2010. Needless to say, the calibre is equipped with features that are standard on Blancpain’s fancier movements, including twin barrels for a 72-hour power reserve, a free-sprung balance as well as a silicon hairspring. More apparent to the wearer are the under-lug correctors: tiny tabs under the lugs to set the calendar, replacing the traditional recessed pushers on the case band. These discreet tabs give the case a cleaner appearance, leaving the lines of case band unbroken, and more importantly the tabs mean there’s no need for a toothpick or stylus to set the calendar. Another feature is the security mechanism for the calendar that prevents setting in the hours leading to and just past midnight, prevent damage to the mechanism. 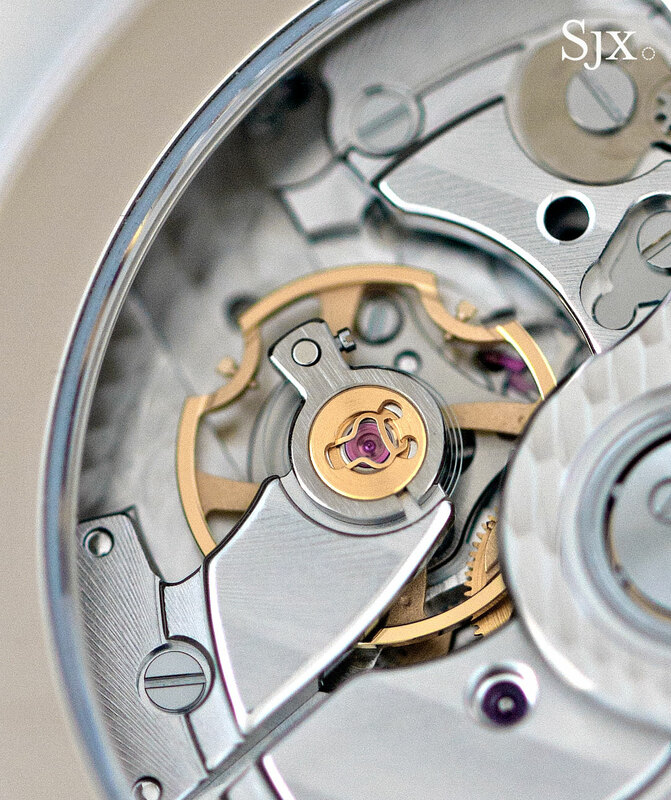 The calibre is finished in a manner typical of Blancpain’s movements, which is to say skilled but discreet. 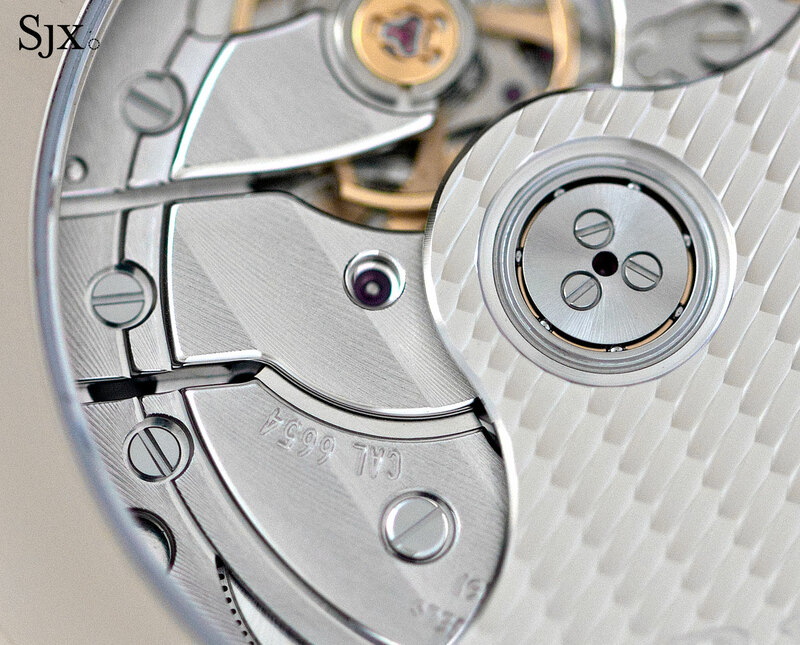 While much of the finishing is obviously aided by machine, as is typical for watches in this price range, certain details make it stand out from the competition, for instance the chamfered screw heads and the polished countersinks. 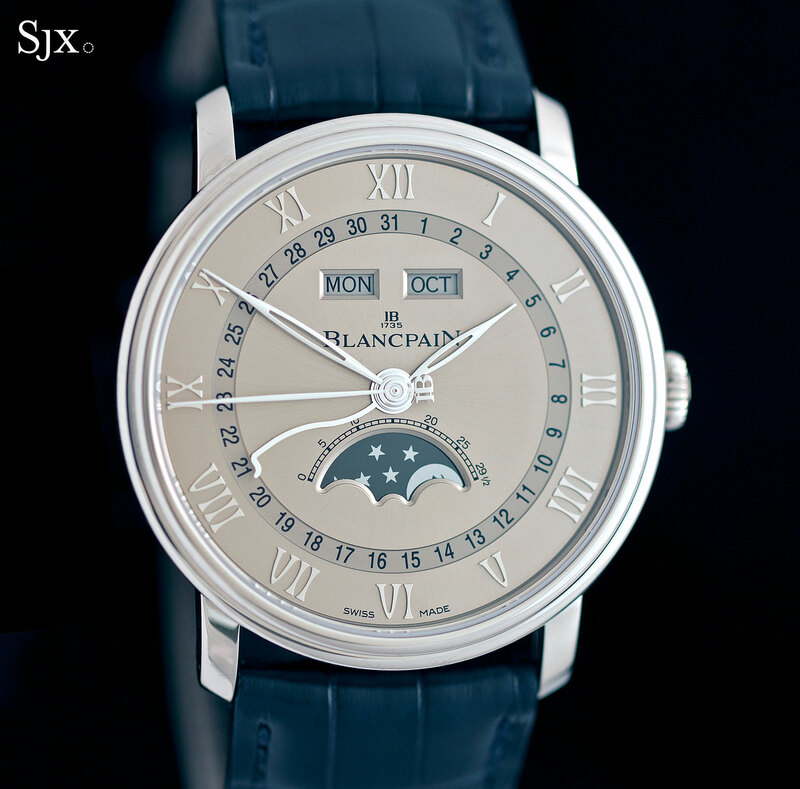 The Blancpain Villeret Complete Calendar in white gold (ref. 6654-1504-55) is priced at US$25,700 or S$35,500. It costs the same in rose gold, but is much more affordable in steel (ref. 6654-1113-55B) at US$14,900 or S$20,700. 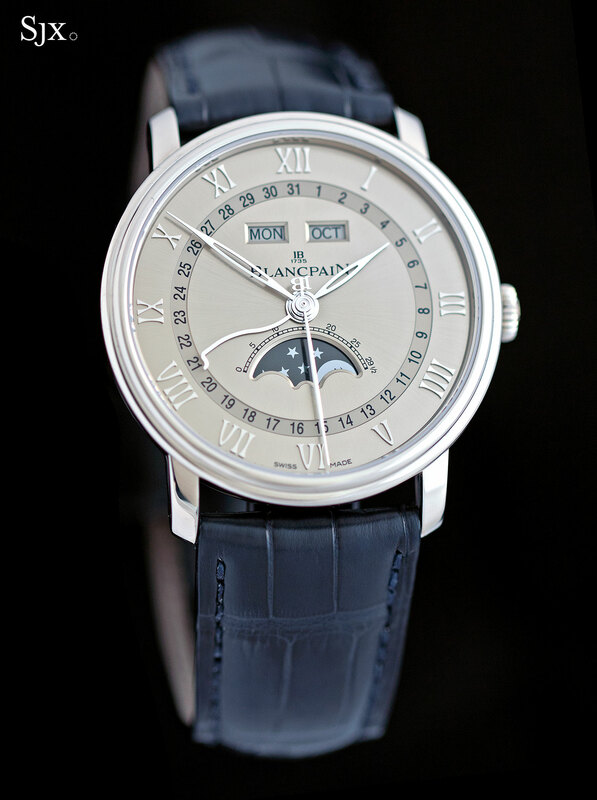 All models are available from Blancpain boutiques and retailers.